Hempstead, New York, USA. May 23, 2018. 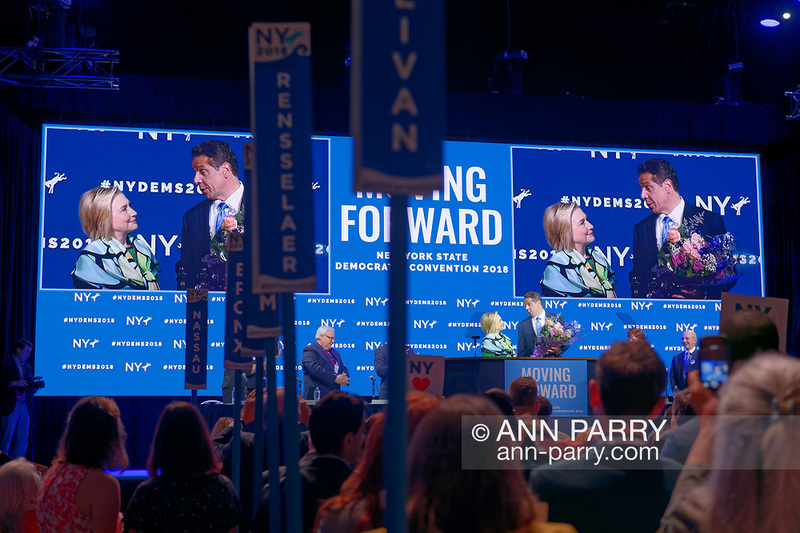 HILLARY CLINTON and Governor ANDREW CUOMO, with a bouquet of flowers for Clinton, speak on stage during Day 1 of New York State Democratic Convention, held at Hofstra University on Long Island. Clinton - the former First Lady, Secretary of State, and NYS Senator - endorsed the re-election of Gov. Cuomo for a third term.